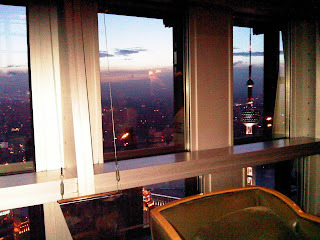 Cloud 9 is the bar at the Grand Hyatt in the second-tallest building in Shanghai, the Jin Mao. 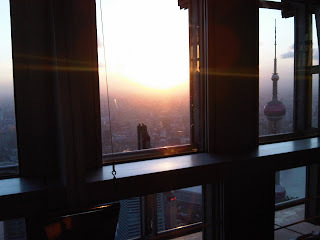 Sitting in this chic bar, sipping cocktails and watching day turn to night in Shanghai was amazing. The crazy lights of China's biggest city give a glimpse of just how big and massive it is.